Benny, Banksy and Boydie, AKA the BasketBall Blokes, here for your Round 18 NBL Fantasy guide. Boy oh boy wowee, it’s the last round of #NBL19 already! While top placed BasketBall Bloke Boydie blew it last week and has fallen down to 20th in the overall rankings, DT Talks own Jeppa held firm and sits in 7th overall, a mere 77 fantasy points away from a $10k prize. Obviously this round you gotta risk it for the biscuit if you want to try and work your way up the rankings, or do you go vanilla and call everyone else’s bluff! Another early lockout 5:20pm AEDT Thursday so make sure you haven’t hit rollback for the 50th time by accident and have confirmed your trades and captain choices for the week! Have a listen to this weeks podcast below as we had a chat with DT Talks own Jeppa as he discussed his strategy heading into the final round of the season. These players have received major price rises after round seventeen. Kay did us no favours by increasing 100k, as he is likely to be one of the top trade targets this week. Delany the pick of the value guys under that $1 million mark. These players have had the biggest price drops for the round. Tai continued to frustrate owners with his limited minutes as Delany continued to eat into his playing time. Jawai equally as frustrating with just the 6 points for the week. Taking a chance or going vanilla? That is the question for Round 18! Cairns, Melbourne, NZ and Perth are the only teams on doubles for the last round so if you are looking at your premiums you’d have to have Nick Kay, Cotton and Trimble as your prime targets if they aren’t already on your teams. Of course we are presuming you have Long, DJK, Boone and maybe even Casper or McCarron already, if not they should be near the top of the list too. Can Wesley get back to some of his earlier form after a not so great last month or so?? Others with possible high ceilings that could be worth a punt if that is the strategy you are going with are Goulding, Newbill, Richard, Armani Moore, Delany or even Damien Martin who has had a 55 and 56 within his last 4 games. One out of left field that we also like is big Angus Brandt. Cheap bench upgrades are also likely to be from the 4 teams on doubles so think Armani, Delaney, Shea Ili, Steindl, Webster, Abercrombie or Barlow if you can afford those upgrades. Basically, get as many doubles as you can into your squad without sacrificing your starting 6 too much as you want them all on doubles! For further trade discussion, have a listen to this weeks podcast below. 5. Melo Trimble – There’s a number of ways you could play the captain card this week. Play it safe, or risk it all with a unique pick. Trimble likely to be heavily owned but not heavily captained. Two away games are risky, but previous scores of 67 and 52 against United and 65 and 42 on Sydney make Trimble a solid unique this week. Melo will want to finish Cairns season off with a bang! 4. Bryce Cotton – OMG… Did you see the Jekyll and Hyde performance of Cotton against the Kings. Just when you thought he was in the midst of an absolute stinker, not managing to score until the final minute of the third quarter, Bryce did Bryce things and exploded in the fourth and OT periods, putting up 27 points there after. If Cotton could do this for all four quarters, it’s the type of ceiling you want in a unique captain selection this week. Perth need two wins here, so Cotton will be playing big minutes. Scores of 42 and 48 on Adelaide previously, as well as 59, an 8 and 46 against Melbourne, give Bryce that boom or bust feel this week. 3. 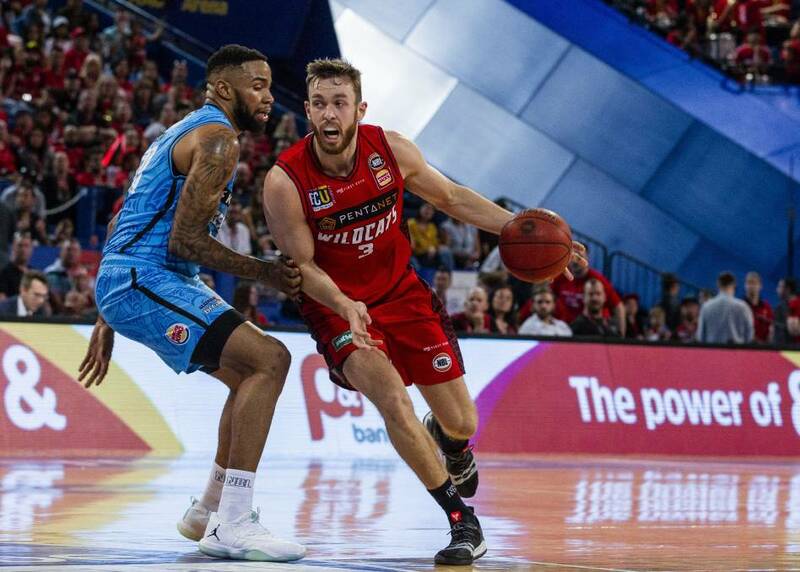 Josh Boone – Similarly to Perth, United need two wins here if they want that top spot locked in. Has shown he can dominate Jawai in the past including a 75 previously, plus a 62 and 52 on Perth also, makes Boone a unique pick this week with a massive ceiling. We say unique, as most are likely to play the safe options in Kay and Long. 2. Nick Kay – Amazingly consistant and averaging over 51 points a game on the season, second best only to Bogut. Has Adelaide at home where he has scores of 74, 14 and 50 already. Then heads to Melbourne where he has gone 67, 63 and 62 – fair to say he is looking at another score in the 60’s with that consistency! Add to that he is averaging 66 in his last 5 and 63 in his last 3, and I’m backing Kay in for two scores in the 60’s this week. Again, Perth will be doing all they can to win with top spot on the line. 1. Shawn Long – What a beast! A season high 163 last round after sitting at number 1 in our top 5 last week. It’s clear Long is playing for a contract and wanting to finish the season with an absolute bang. He just scored 86 on Illawarra in an away game. And now he has them at home!? Yes please! He will then play Brisbane who he scored 54 on a couple of weeks ago. Averaging a ridiculous 83 over his last 3 and 67 over his last 5. The only negative I see here is will he be too Vanilla? With many still in with a shot at finishing in the prizes, will you play it safe with Long, or roll with someone out of left field in the hopes of gaining an edge? Good luck all! It’s Perth, Cairns, New Zealand and Melbourne with the doubles this week. Make sure your stacked with these guys!